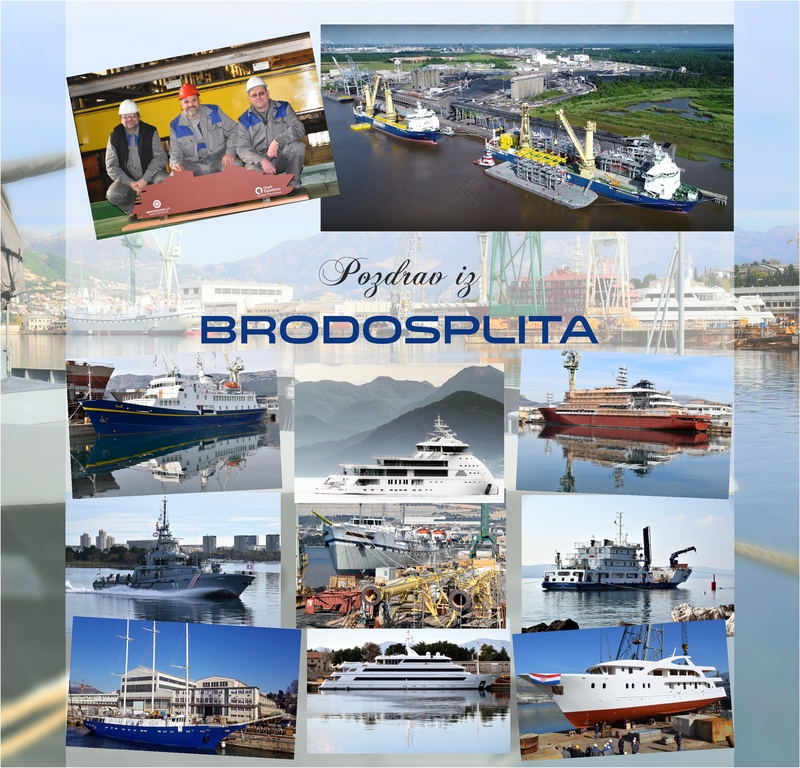 In this way Brodosplit Shipyard became equal business partner of the Fincantieri Group in joint building of luxury passenger cruisers. 5 November 2015 – This is the most demanding part of a ship’s hull that includes bulbous bow, bow structure with three built-in bow-thrusters, few ballast tanks and hull structure consisting of several decks with built-in equipment. This is a unique project for Brodosplit, with more than 1500 tons of steel equipped with piping, ironmongery components and electric routing. By this project Brodosplit provide quality and established collaboration with its Adriatic neighbour that employs 20,000 people all over the world for the first time in its history. Four built blocks were loaded on a barge and will be towed to Monfalcone Shipyard where they will be assembled on the ship built in dry dock. 18 December 2014 – By loading fitted sections (grand blocks) for 321 m long mega cruiser with 133,500 GT, on a special cargo barge delivery was executed in Brodosplit Shipyard on this day. On 9 March 2015, in Brodosplit Shipyard Hull 743 was launched to sea. It is a fitted section of the keel of the future mega cruiser that is being built at Marghera Shipyard in Italy. 47,30 meters long and 19,25 meters wide keel block is tightly closed and water-proof on both sides – and will be tugged separately in floating condition to the Marghera Shipyard.